This here allows you to get customers to upload wording or files when they purchase an item from you. 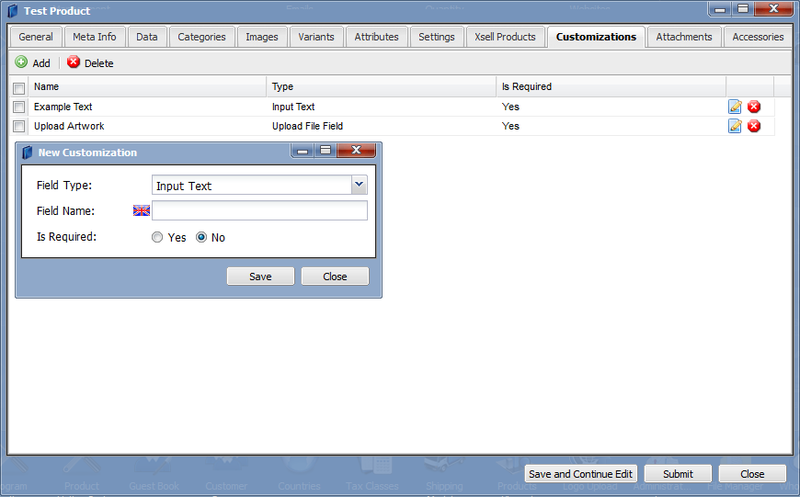 All you have to do is select ‘Add’ then decide if you want the customer to upload an image or text. The ‘Is required’ field stipulates if the customer needs to fill out that information before they add to cart. The customer will need to press the continue button, this will confirm the custom items/text and then they can add the item to cart.